LANCASTRIAN DAVID FOUNDED HENRY FIX PAINTING & DECORATING IN 2014. HE HAS OVER 15 YEARS’ TRADE EXPERIENCE AND IS A CITY & GUILDS QUALIFIED PAINTER/DECORATOR. DAVID DOES ALL THE ESTIMATING AND SIGNS-OFF ALL HENRY FIX JOBS INCLUDING THOSE HE IS NOT PERSONALLY WORKING ON. HE PRIDES HIMSELF ON ENSURING HOMEOWNERS ARE COMPLETELY HAPPY WITH THE CRAFTSMANSHIP OF HIS TEAM. 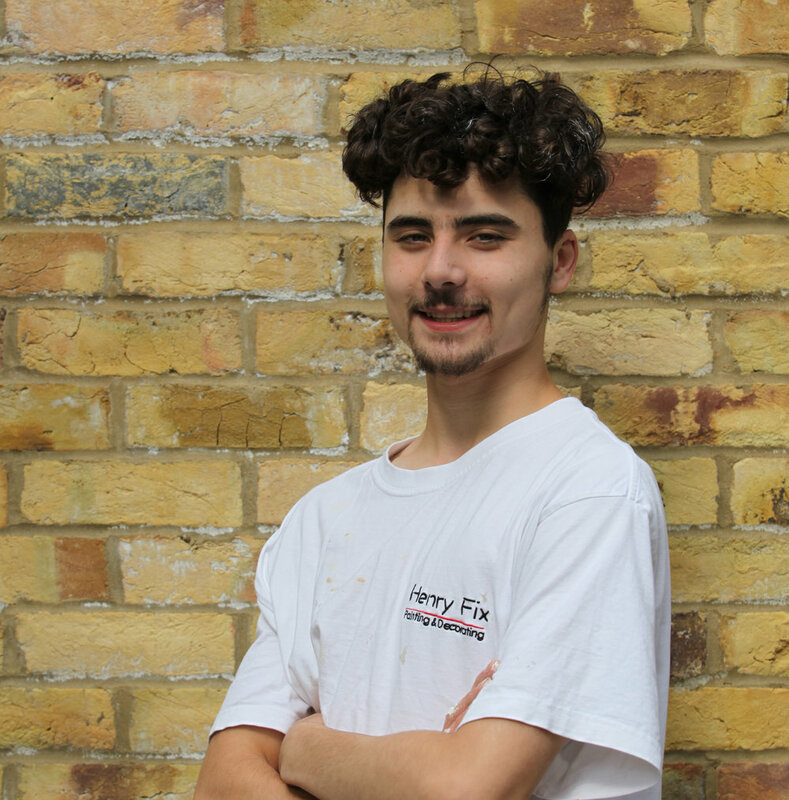 Connor joined the Henry Fix team in early 2017 as a Trainee Decorator and has now been with us for over two years. Showing CHARACTER and work ethic from day one, he has served his full APPRENTICESHIP and is now a qualified and experienced painter and decorator. Connor has risen quickly to become a strong and valued member of the team and is now Davids No1. His long-term career goal is to start and run his own BUSINESS and train his own APPRENTICES, and we're more than happy to support him on that journey. Keen, enthusiastic hard working and a great example to young people that hard work really does pay off Connor is a great addition to the Henry Fix team. 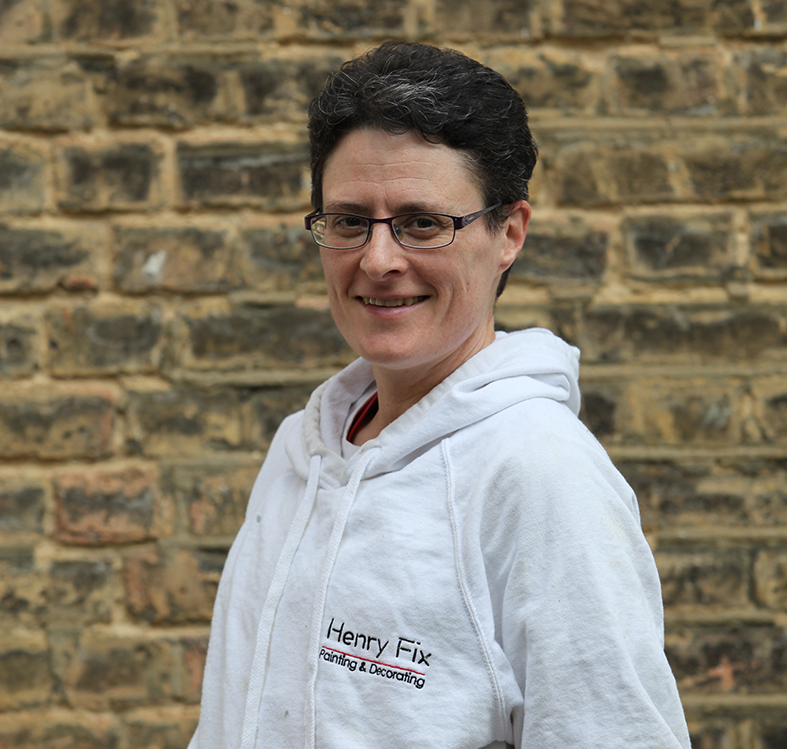 Former NHS-administrator, Angela joined the team in early 2017 after re-training and qualifying as a professional painter decorator. Angela adds a great dynamic to the team. She's hardworking and conscientious and is an inspiration to anyone thinking about changing careers.